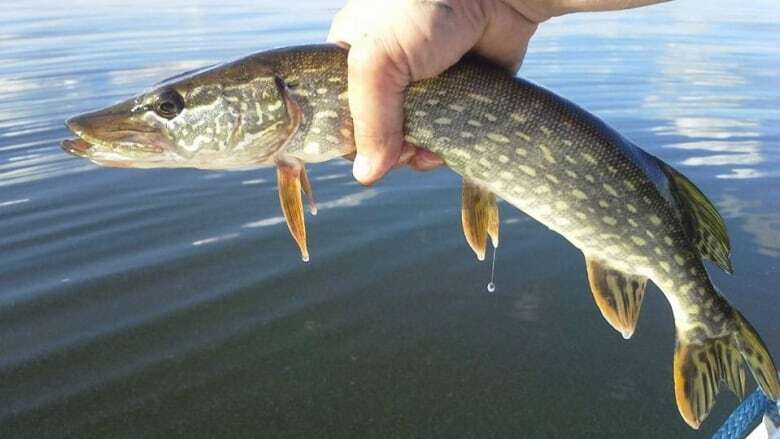 A northern Saskatchewan man has been found guilty of illegally selling fish after a prolonged sting operation by conservation officers. Court documents show that conservation officers started investigating Donald Iron of Canoe Lake, Sask. after complaints that Iron had allegedly sold fish illegally for 20 years. The investigation led to Iron being convicted this January of three charges of illegally marketing fish. The investigation was conducted in Canoe Narrows, beginning in 2016 by a conservation officer. Iron's charges stem from him selling fish to the officer several times at a total combined cost of $90, according to court documents. "According to what [Iron] told the officer, all of the fish were taken from Canoe Lake," the decision read. Dwayne Stonechild, Iron's defence lawyer, described his client as illiterate, poor and alcoholic and said he was entrapped by conservation officers. Justice Miguel Martinez ruled otherwise. Martinez ruled there was no evidence the undercover took advantage of Iron's impoverished state and his alcohol abuse. Martinez also addressed concerns allegedly raised by Canoe Lake First Nation chief and council about an investigation "conducted by state authorities, in secret," on band lands in his decision. Martinez noted a previous court decision addressed what rights have conservation officers have in terms of investigating the illegal sale of meat in Indigenous communities. "A wildlife officer — today referred to as a conservation officer — may enter upon First Nation's lands to enforce provincial legislation without first obtaining permission from the First Nation," Martinez wrote. During the trial, evidence was presented on behalf of the Canoe Lake fishery that showed "that what was once an abundant, and healthy fishery is now fragile." Established in 1954, the Canoe Lake Fishery, operated by the Canoe Lake Fishermen's Co-operative, is a commercial operation that is authorized to fish two or three days every January. "The catch limit is 5,000 kilograms of fish, which is nine per cent of what it once was," the decision said. Court documents show Sgt. Yeo, a conservation officer, testified that the Canoe Lake Fishery "in the early years, produced tens of thousands of kilograms of fish." Iron and his defence lawyer tried to argue that because the amount of fish sold was a such a small amount, the charges against him should be dropped. "Illegally selling even a few fish, here and there, is not a blameless, or a victimless offence," his decision read. "People like Mr. Iron, who take more fish than they or their families need to feed themselves, and then illegally sell those fish, are essentially stealing from other members of their communities," Martinez's decision read, adding it also threatened the sustainability of the Canoe Lake fishery. Sentencing for Iron is scheduled for Feb. 14. Editor's note: This story has been edited to comply with a November publication ban on the "operational techniques" used by the undercover officer. The judge's decision was published in error to the Canadian Legal Information Institute (CanLII) but has since been removed.